Hi. I'm starting this topic to comment experiences when using msxs with kids, their friends and other relatives. I found nothing similar and posts are spread over different topics. Yes, you're right, Jipe. 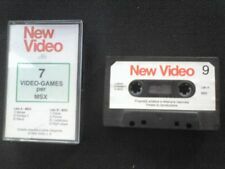 MSXdev game's are also interesting for kids: Linez, Traffic Jam or Quartet, among others. 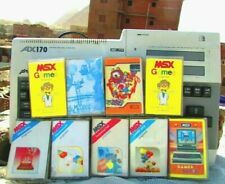 I'm turning 15 so I'm not exactly a "kid", but I have been interested in MSX stuff since I was 12, and retrocomputing in general far before that. Nice to read this, Omargrafx. 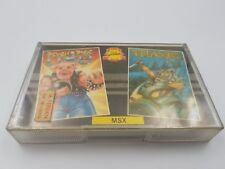 Hope my children will still be interested in msx when they reach your age. 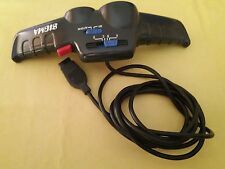 Although I didn't buy an MSX until I was 13 or 14.. The first model I owned was a Sanyo MPC-2 aka Sakhr AX170. The Sanyo MPC-2 seems to be a good one. Never had that one. We're now enjoying the vg8020. Uh oh.. Stay kids away from our precious machines! They're a kind of lifeform made for destruction. At least until they got some age to appreciate the machine and see the diference between a non-replaceable MSX and an expendable PC keyboard. You're right MsxKun. At home we only use undestroyable telemaches.